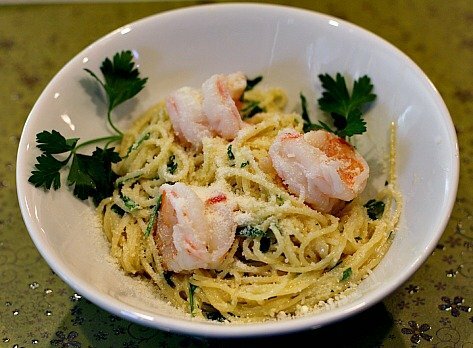 Angel Hair Pasta with Shrimp, Creme Fraiche and Gremolata, a delicious one-dish meal. 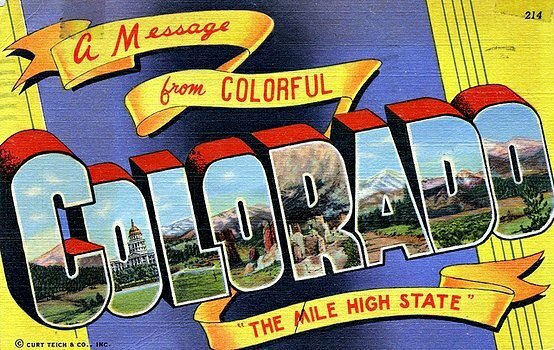 Over two weeks have passed since I’ve written a blog post. I’d like to say we’e been on the beaches of some exotic island for Spring break, but the truth is it’s been a very busy time at work and if you can imagine, we’ve been eating out a lot. Odd behavior for us. We’ve also been totally obsessed with March Madness and the television series Breaking Bad. We’ve just started renting the seasons and like a good book, can’t put it down. Cooking has consisted of using things from the freezer that have been too peculiar to blog. I’ll get back in the swing of things with this easy little pasta dish. 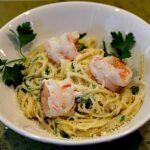 Angel hair pasta tossed with gremolata and and made luscious and creamy with creme fraiche. It’s an easy and satisfying dishes. Back in the day, BWF (before Whole Foods), when I couldn’t find creme fraiche, I made my own. It’s really just soured cream, but not as sour as sour cream, easy to make with cream and buttermilk, but when you don’t have 24 hours to let it culture, I welcome the container I can grab at the market. You’ll find the pasta recipe below, but first, let’s drink a little wine. 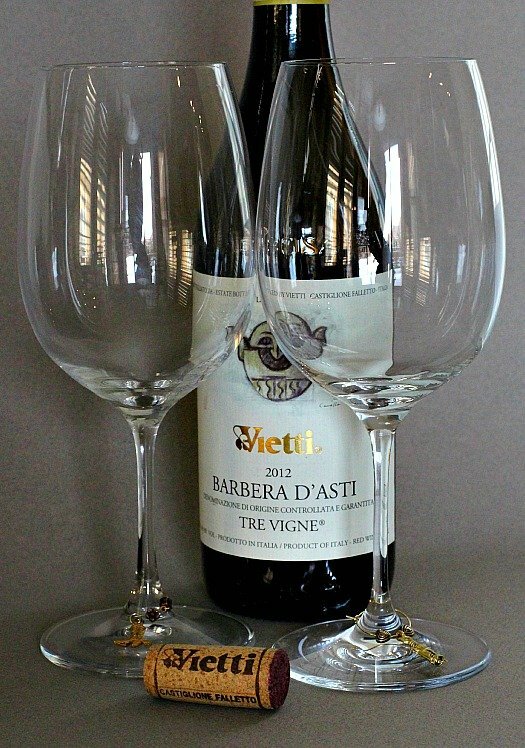 Last night we had a bottle of Vietti’s Barbera d’ Asti Tre Vigne 2012. We occasionally have either Michele Chiarlo’s Superiore Le Orme or this Vietti from Italy’s Piedmont. Both are relatively inexpensive and seem to go really well with most food. When we first had the Vietti a few months ago we were thoroughly smitten. Bob even went so far as to “predict” its inclusion in the 2014 Wine Spectator magazine Top 100. That’s the first, and I’m sure the last time that he’ll be right about something so important as a wine top 100 list. It came in at Number 76 and we, of course, have been telling anyone who’ll listen that Bob saw it coming. It did not disappoint yesterday and was all gone well before any food was on the table. Creamy and luscious with creme fraiche and fresh with lemon and parsley, this is a satisfying meal. Make the gremolata: In a small bowl, combine the parsley with the garlic and lemon zest. Using with a spoon, mix until just combined and set aside. Juice the lemon into a large bowl and set aside. Peel, devein, remove tails and butterfly the shrimp. In a sauce pan with water, add a few leaves of parsley the lemon that you've used to zest and juice, Let this mixture boil for 5 minutes and then add the shrimp and cook until done. Remove shrimp to a plate and set aside. Bring a large pot of salted water to a boil. Add the pasta and cook until al dente, according to the package instructions or about 4 minutes. In the large bowl with the lemon juice, whisk the crème fraîche with the olive oil until combined. Add the Parmesan, red-pepper flakes and reserved gremolata; mix until combined. When the pasta is cooked, use tongs to transfer it directly to the bowl with the sauce. Toss the pasta with the sauce and coat the noodles evenly, adding pasta water 1 tablespoon at a time to thin the sauce if needed. Season to taste with salt and pepper. Transfer the pasta to a large serving bowl or divide among individual plates. Add the shrimp and garnish with additional Parmesan, a drizzle of olive oil and the whole parsley leaves. Serve immediately. 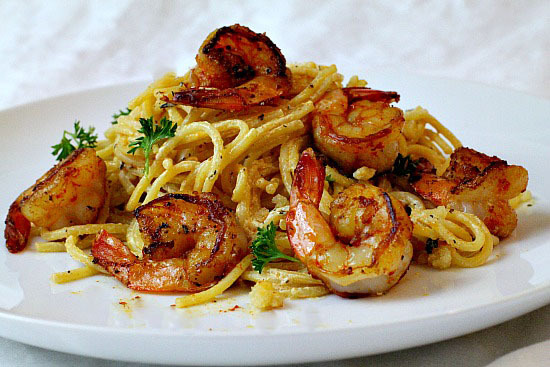 Looking for more pasta and shrimp dinner ideas? This post is the most popular ever on my blog: Just click on the title of the recipe. Glad you posted this…..looks delicious along with that wine that didn’t make it to the table. We love Breaking Bad and have recently thought that we needed to rewatch the series from the beginning. Also need to start Better Call Saul…..
You had me at gremolata – my favorite combination of flavors. And with creamy shrimp … oh la la. Love the wine recommendation as well. We binge watched Breaking Bad on Netflix and I almost wanted to start it over. Loved it! OMG, i love Breaking Bad. How fun to be able to watch it from start to finish without those pesky season finales getting in the way. Ah, Walter White and this shrimp dish. The makings of a great night. OMG! We really need to get together. There is no excuse. I love Breaking Bad. We watched the whole thing in like a month, I think. Love this dish. I couldn’t eat it though while watching the show. I get too nervous! Not at all surprised bu Bob’s wine predicting abilities – we’ll look for it. The pasta dish looks delicious and pretty simple to make. I haven’t looked in a while, but haven’t found crème fraîche in one of our normal markets – can probably find in Knoxville. Lovely pasta dish and perfect for nights when I’m tired or want something easy. Back in the day I made my creme fraiche too. It’s hard to find in NC so I continue to make it there. Happy Easter to you & Bob. It’s great to take a break now and then when things get hectic. I’m thinking of one myself since we’re inundated with brithdays and holidays coming up. What a delicious pasta, Lea Ann, and thanks for the wine reco. We’re always looking for a reasonably priced good wine to try. Isn’t Breaking Bad amazing? The acting in fantastic. I never watched the series when it was on regular TV but caught up quickly when the Sundance Channel replayed it so I was able to catch up before the series finale. Hi Lea Ann, oh you always have the best shrimp recipes. This looks fabulous. Breaks are always good!!! Have a great week. Wow, does that sound good. I have a huge weakness for angel hair, and your recipe seems heavenly. Haven’t seen Breaking Bad, but so many people have told me it’s terrific. Binge watching is the way to go — I used to resist, it, but it’s so satisfying, isn’t it? 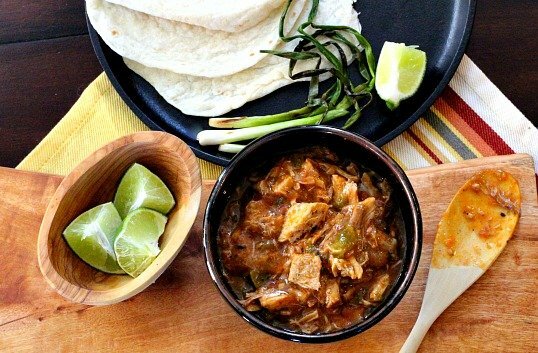 Can watch all weekend, taking just enough time to make a great dish like this for dinner! Good stuff — thanks. The shrimp looks great. OMG isn’t Breaking Bad the best? Alexis and I binge watched the first two seasons and then watched the rest as they came out. Hated waiting each week! Are you watching the pre-quel show that’s on now – Better Call Saul? It starts off slow but it has gotten great the past few episodes. It really provides a ton of insight and sympathy for some of the players in Breaking Bad. Mmm … the gremolata makes this dish sing, Lea Ann!